A devout minister's home was threatened by a weakened dam. The sheriff came by and banged on the door. 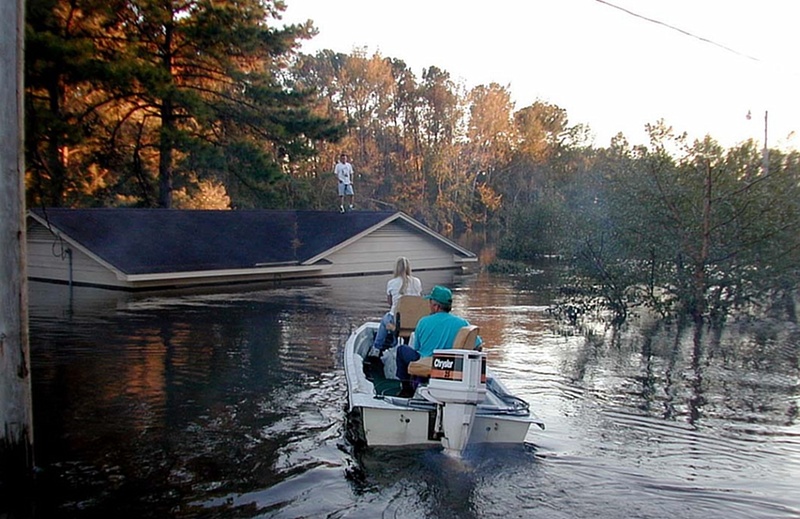 "Reverend," the sheriff warned, "Your house is in the path of the flood. We're evacuating everyone in town. You've got to leave now!" The minister refused. "God will save me," he said, and nothing the sheriff could say would change his mind. The dam broke, and flood waters poured through the minister's town. Soon the water was up to the windows of the second floor, soaking the minister's knees as he prayed. Suddenly there was a voice from the window. The minister looked, and a man in a small rowboat floated outside. "Reverend!" the boater called. "I can't believe you're still here! I am checking for survivors. Get in the boat and let me take you to safety!" But the minister refused. "God will save me," he insisted. And the boatman left. But the water continued to rise. Within an hour the minister was forced to his rooftop. Soon a helicopter flew overhead, and the pilot called down through a bullhorn: "Hey, you! You're lucky to be alive! I'll send down a ladder so you can be flown to safety!" The minister vigorously shook his head "no" and shouted while waving his arms, "Thanks, but you don't have to! God will save me!" The pilot lowered his rescue ladder but the minister sat stubbornly on his roof, refusing to climb. Finally, without the minister's cooperation, the helicopter was forced to leave. And the water continued to rise. Soon it was over the top of his house, and the minister had to tread water. But he couldn't keep it up, especially as night fell and he couldn't see where he was. Inevitably, his arms tired and he drowned—a most unpleasant experience. When he found himself at the gates of Heaven, the minister was very annoyed; so annoyed that he actually yelled at God. "I've spent my adult life telling people You would save us!" the minister cried. "Then, when I really needed You, You let me drown. What's up with that?" God sniffed and shook his head. "I sent a sheriff, a boat and a helicopter to save you," He said. "What the hell did you want, a printed invitation?" The moral of the story is, we often need help but as often have an idea what that help will look like…and end up missing all kinds of opportunities when it doesn't look as we expected.